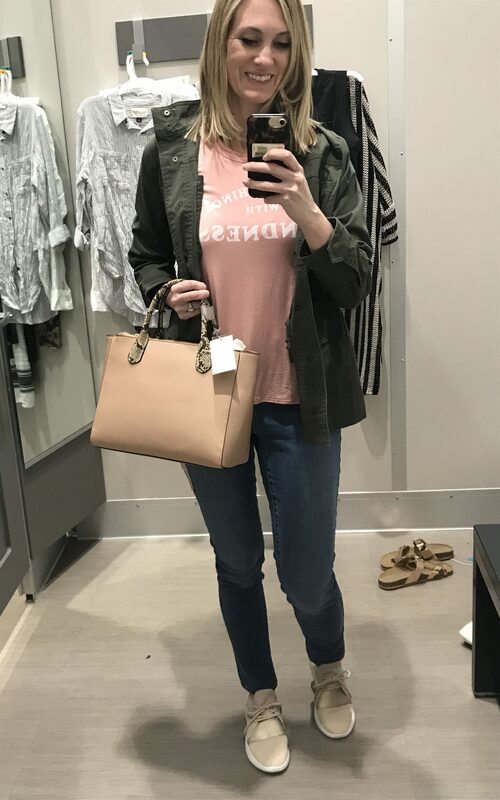 We love changes in season but it also leaves us staring at our closets feeling like we have nothing to wear but overwhelmed at the idea of shopping for a new spring wardrobe! 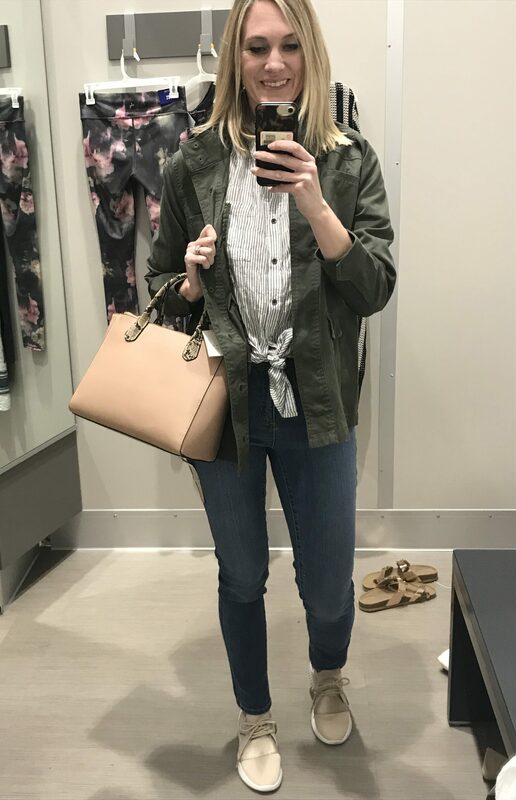 We don’t want it to break the bank but we want to feel stylish and put together. 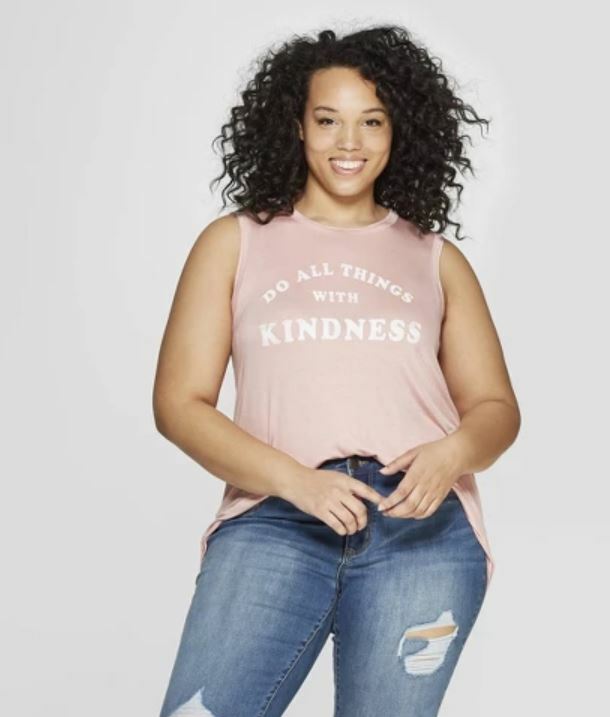 Enter our happy place… Target! 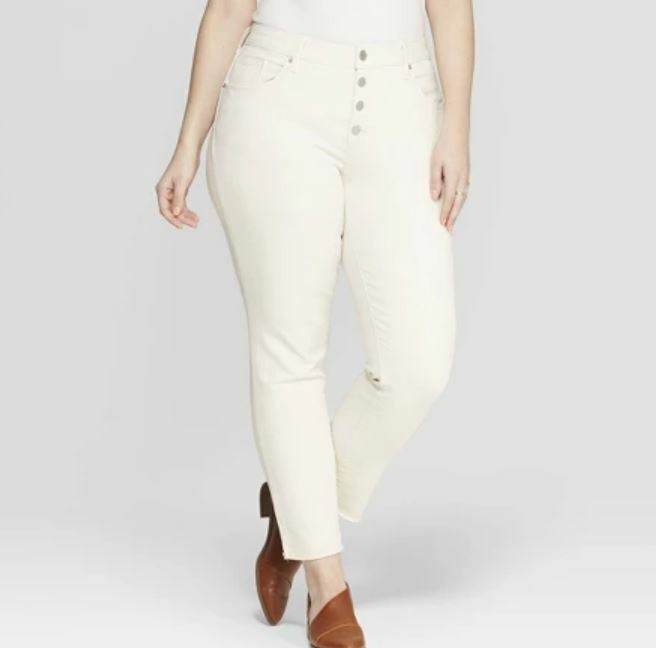 That big red and white bullseye can brighten any day! 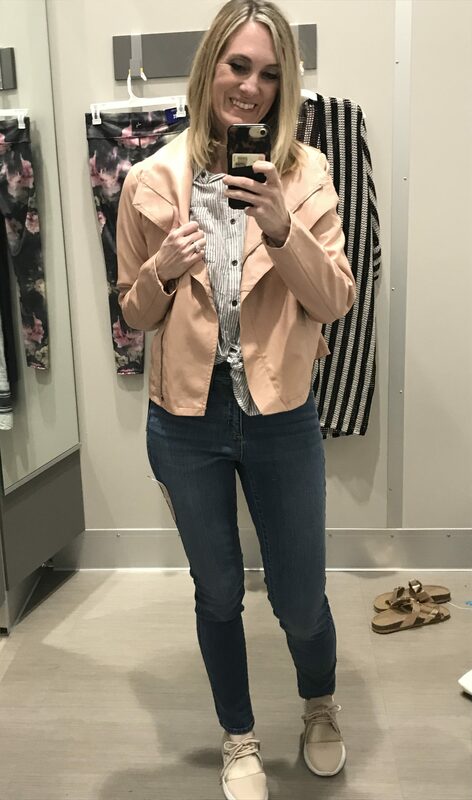 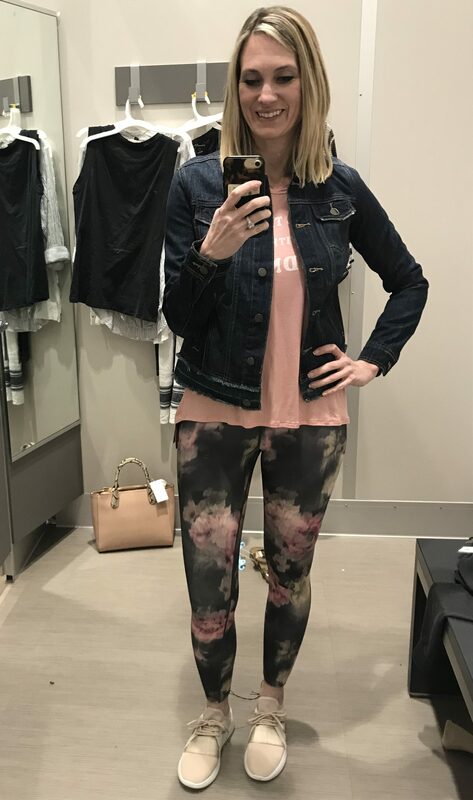 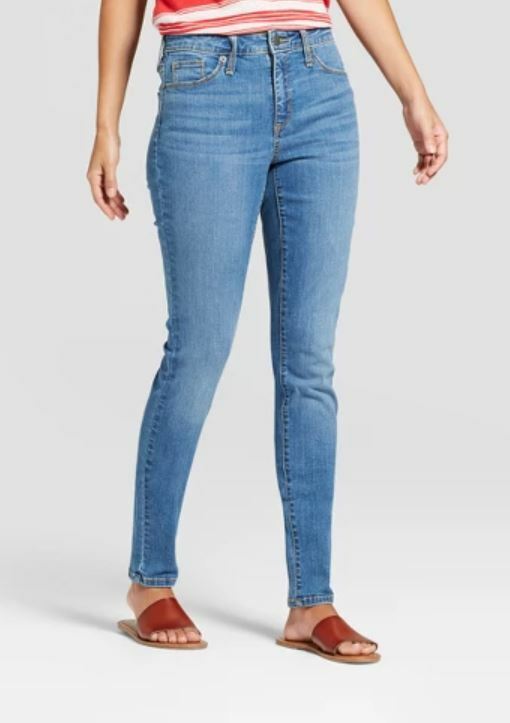 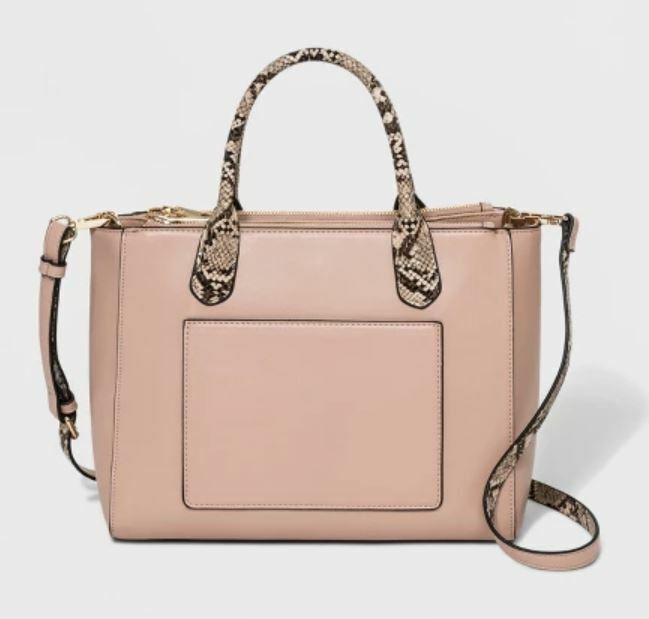 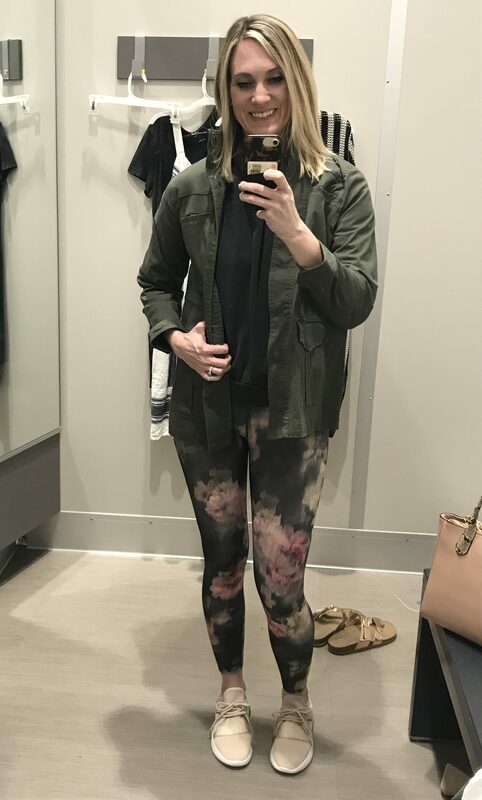 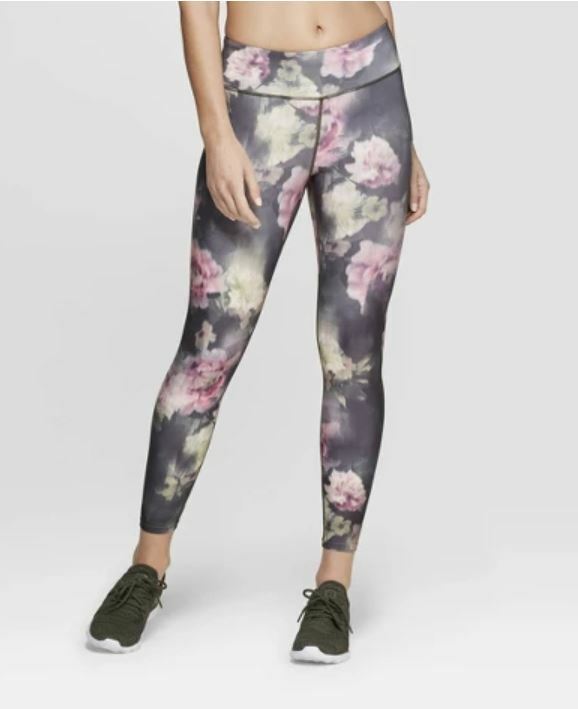 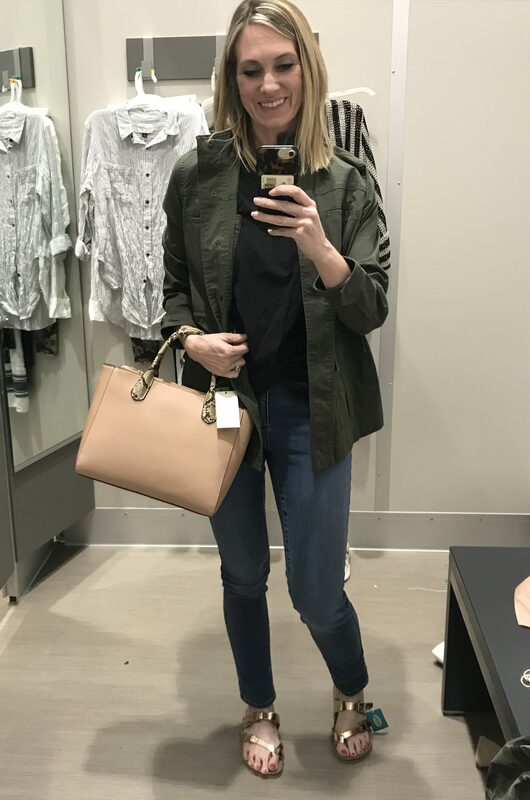 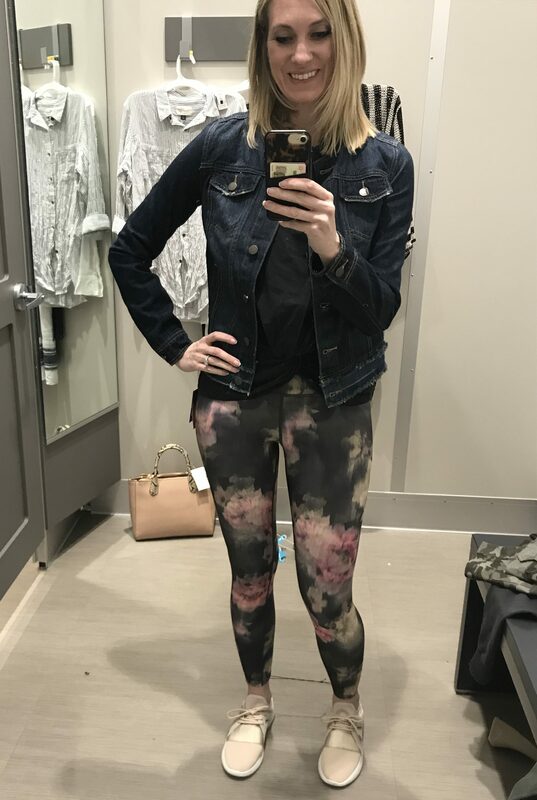 We’ve put together a spring capsule wardrobe from Target featuring some of this season’s hot trends like snake print, floral, moto jackets and stripes and guaranteed to make getting dressed easier. 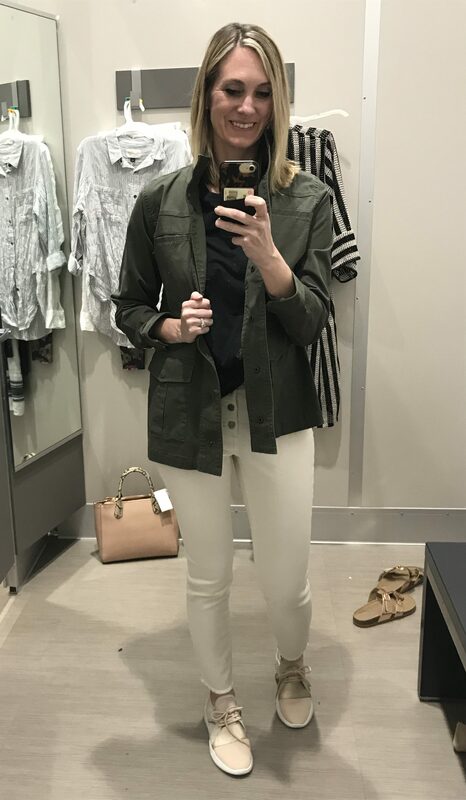 The key to any capsule wardrobe is first selecting a color palette to serve as a foundation for mixing and matching. 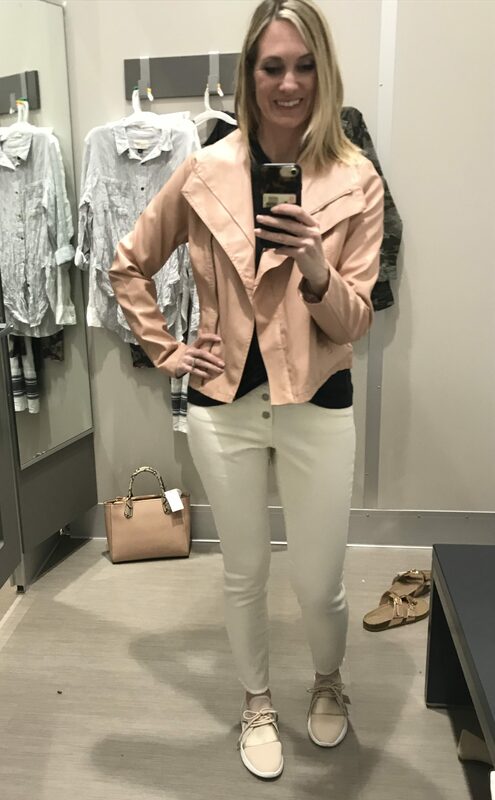 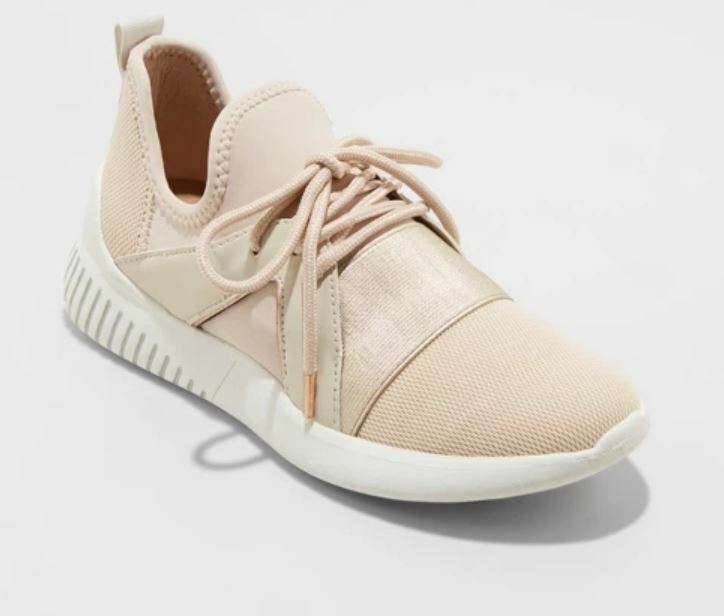 In this case we’ve gone with shades of olive green, blush, creams/white and charcoal black. 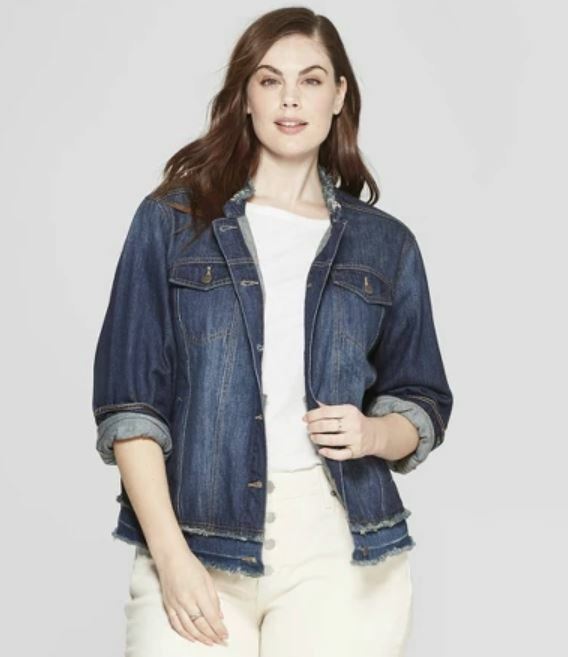 The capsule should also include a good number of basics that can be intermixed with accessories, cardigans, blazers and other items to create a number of different looks this season and beyond. 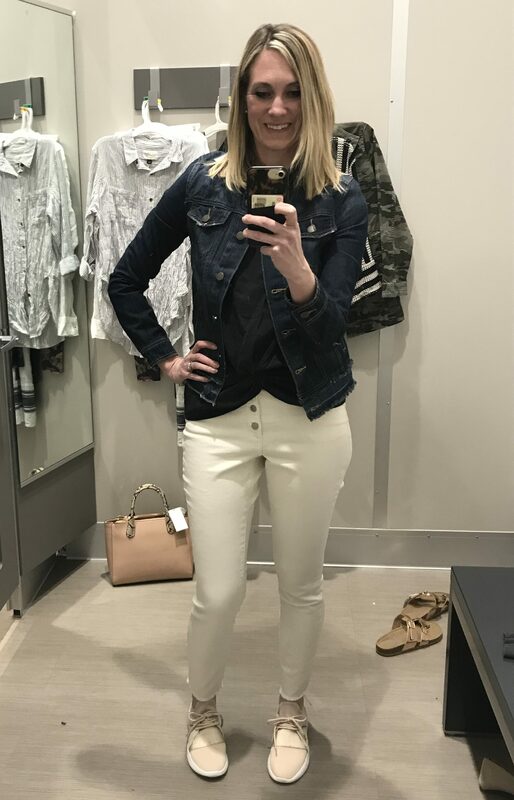 We’ve put together 40+ Outfits from Target using just 16 pieces to make one month of outfits! 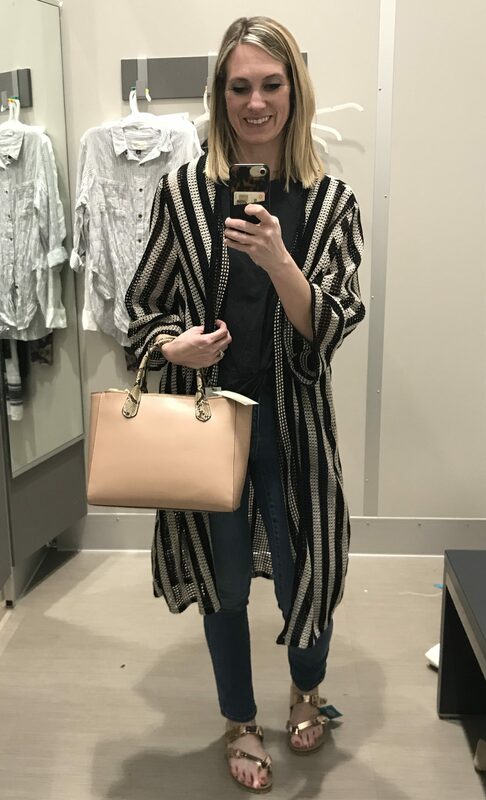 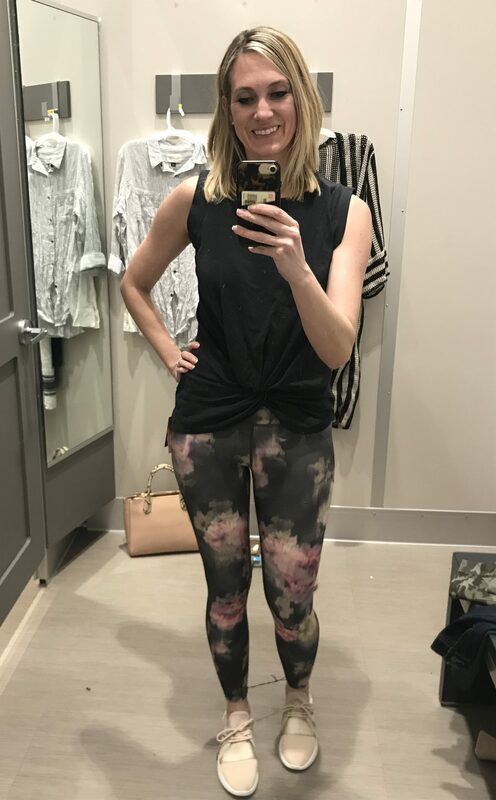 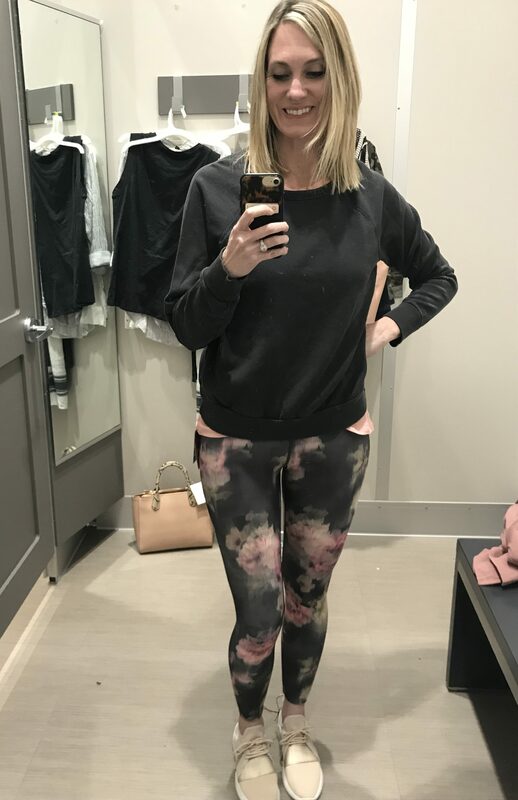 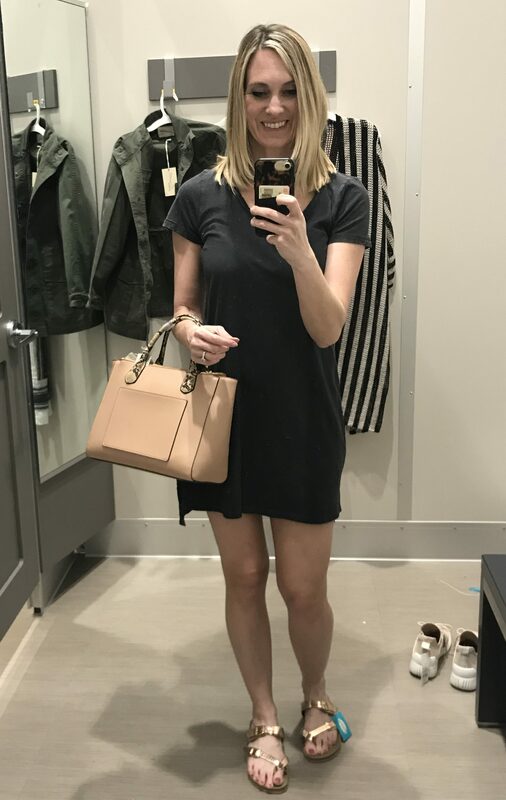 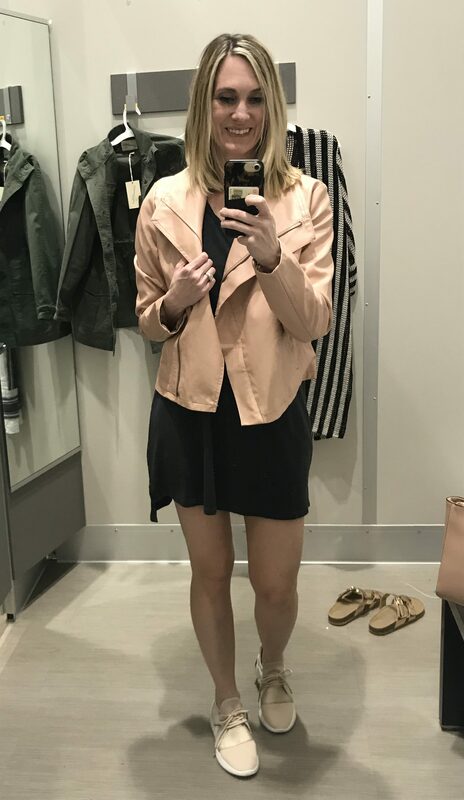 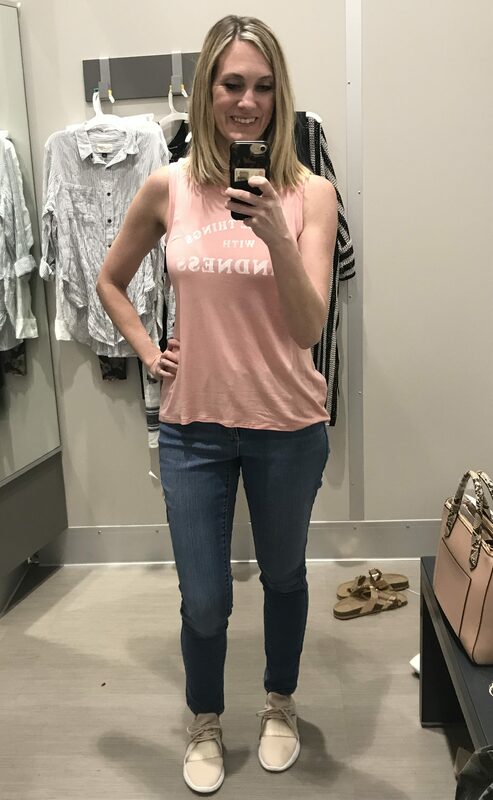 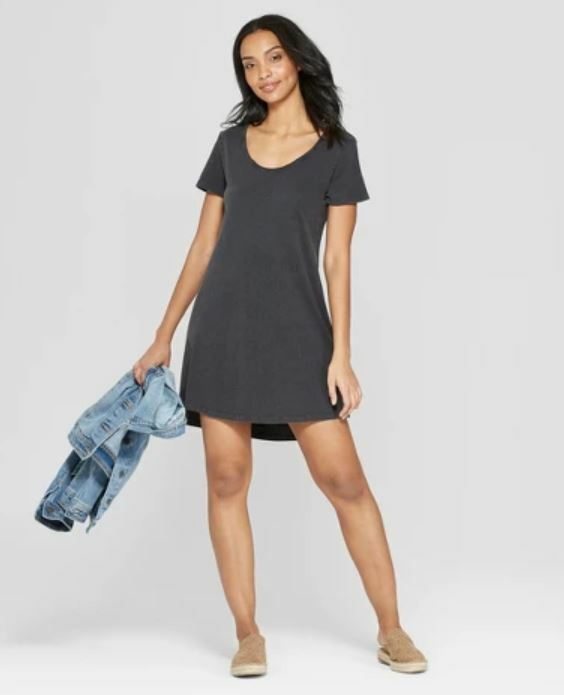 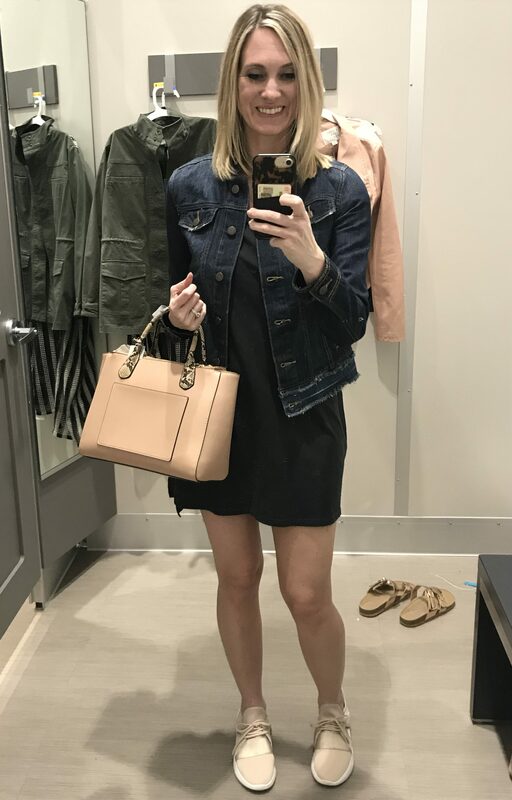 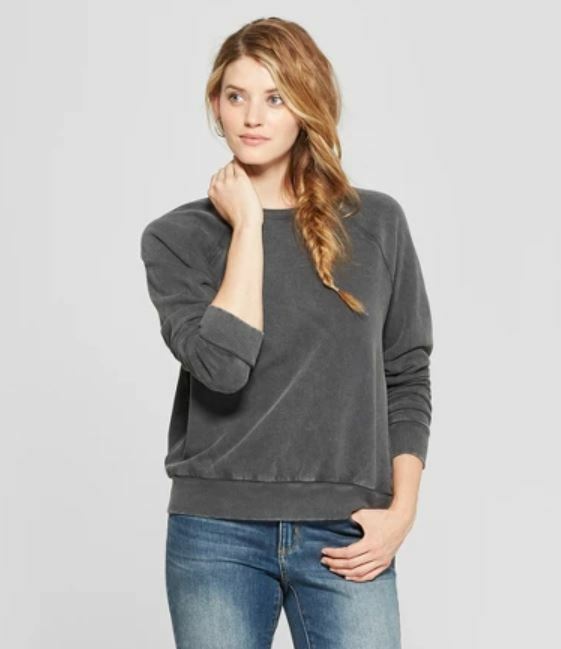 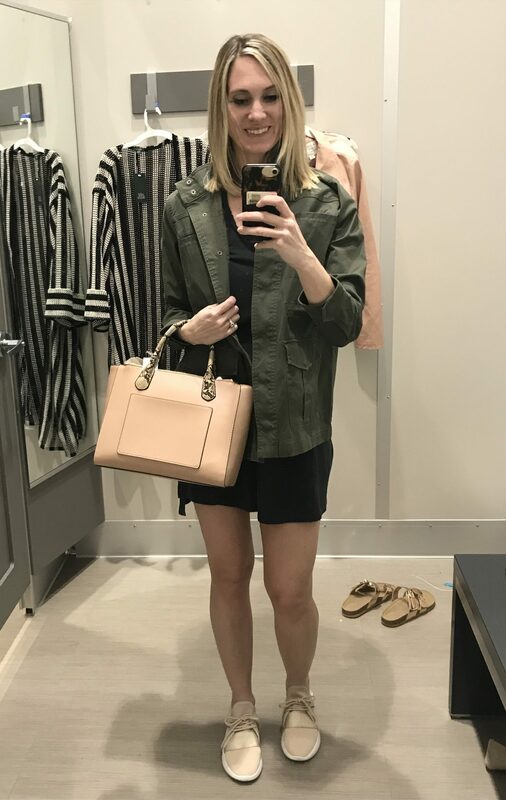 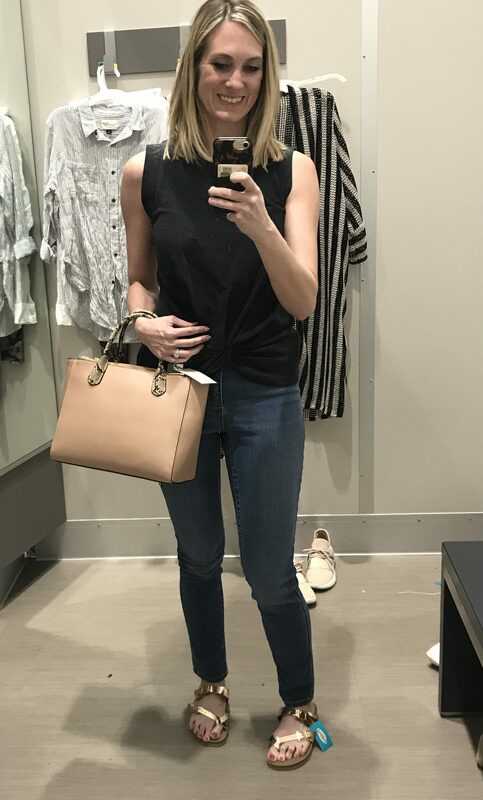 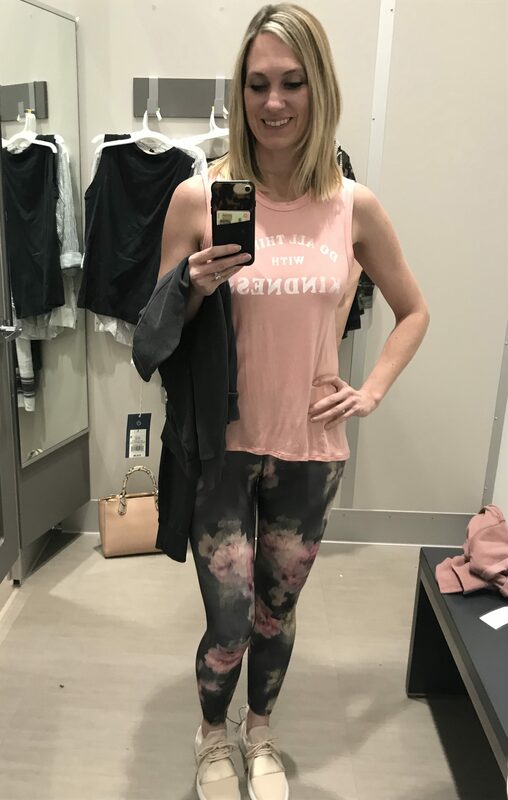 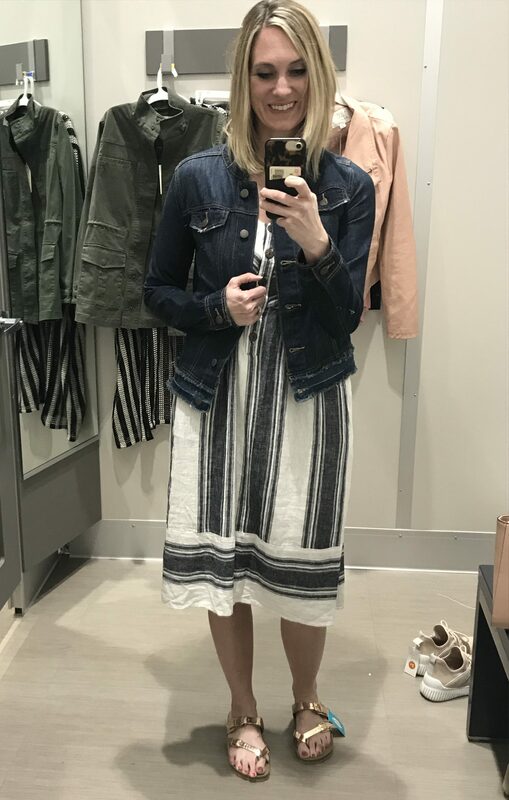 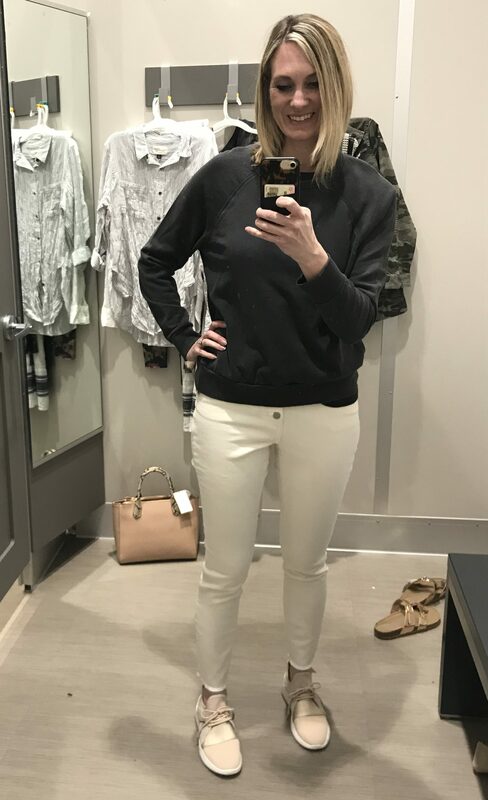 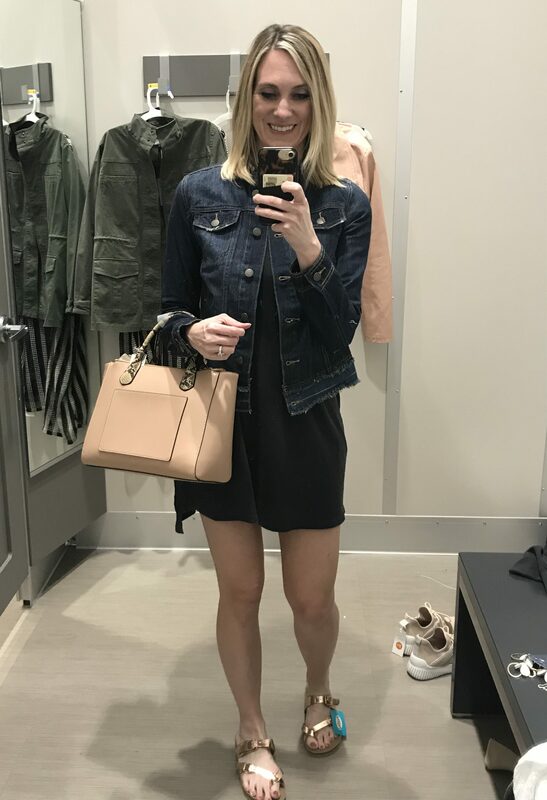 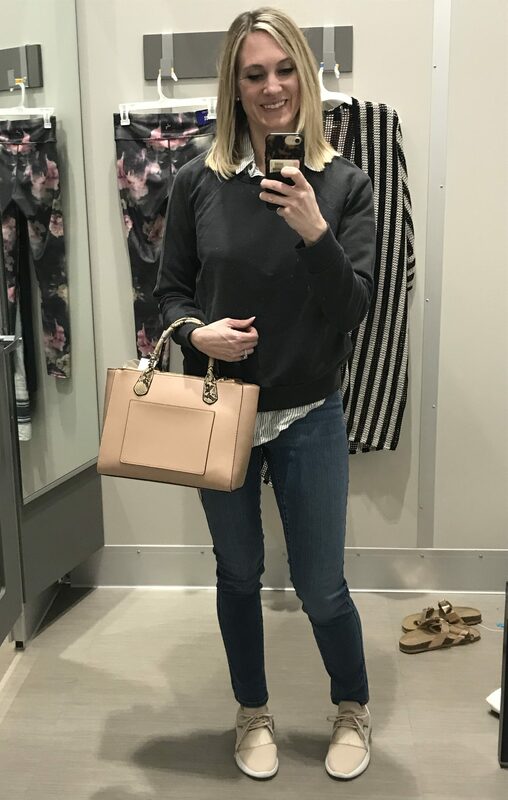 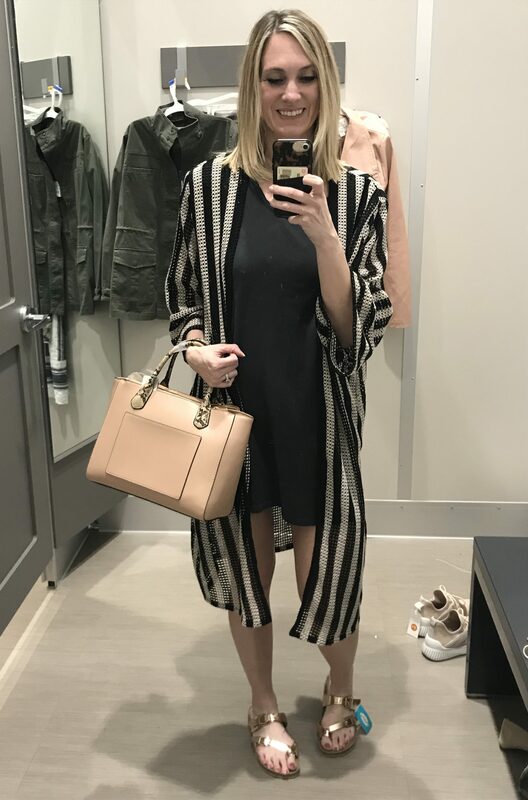 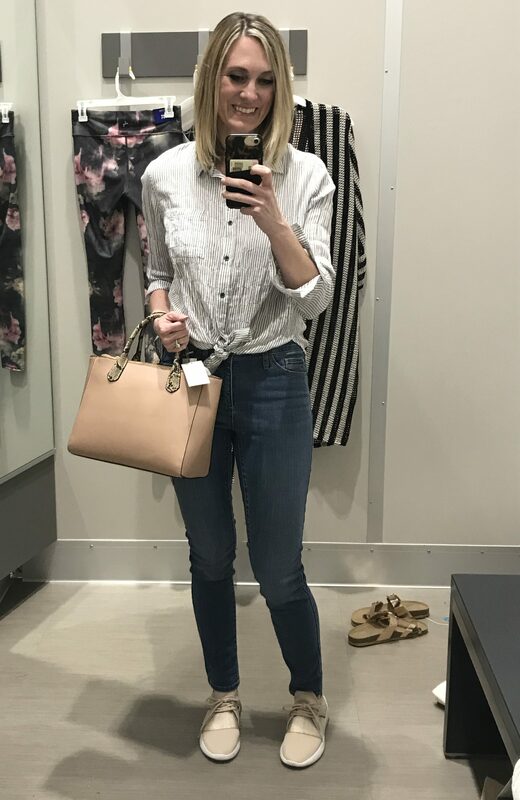 Click on the Slider links to purchase individual pieces then check out the mix and match outfit charts below for #TargetStyle #OOTD inspiration! 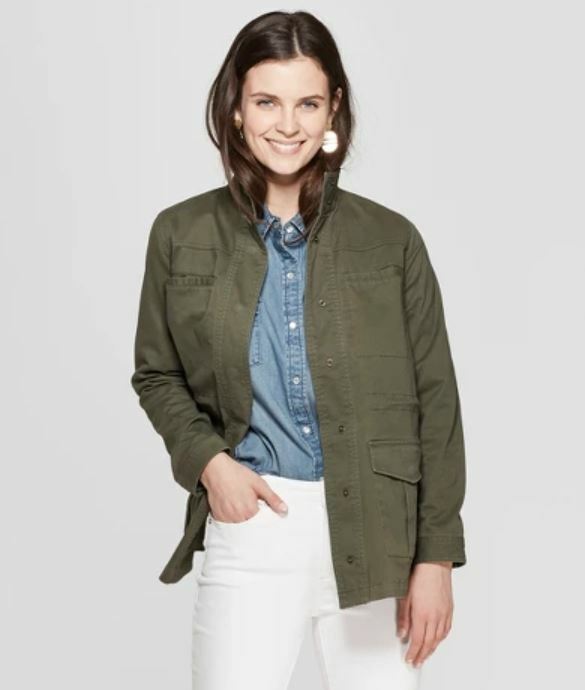 Pin us to your Pinterest board to reference this chart on busy, work day mornings!